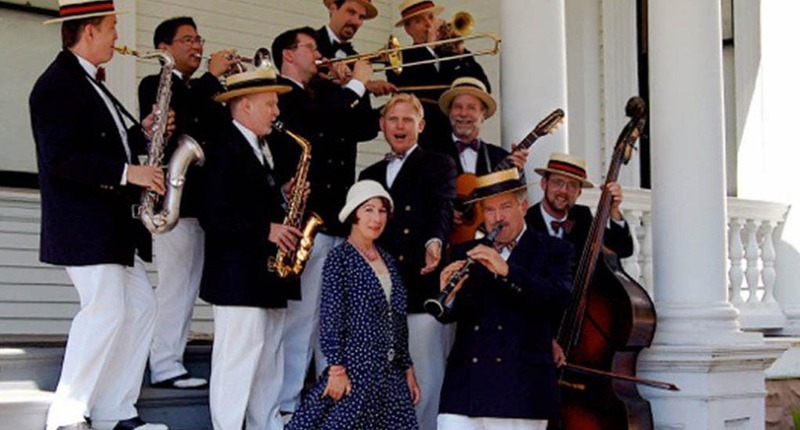 Don Neely and the ten piece Royal Society Jazz Orchestra are world renowned for capturing the essence of hot 1920’s Syncopated Big Band Jazz and 1930’s Swing with an approach both fresh and exciting. The innovators of the Jazz Age and Swing Era are the group’s inspiration but the Royal Society Jazz Orchestra has a personality all its own and perpetuates the great music of that golden era. Youʼll smile as this talented group of eleven musicians, including the period perfect Carla Normand, begin to play. Variety is their forte. Youʼll hear anything from the Cotton Club to Hollywood show tunes with a good dose of humor. Electrified by the RSJO’s sound, dancers burn up the dance floor to that scintillating rhythm. You ainʼt heard nothinʼ ʻtil youʼve heard the Royal Society Jazz Orchestra.